Many people wonder if dogs can eat blueberries, bananas, watermelons, apples, oranges and other fruits and if they are safe for them. Dogs are opportunist animals and will often get table scraps and other foods, including blueberries and other fruits. 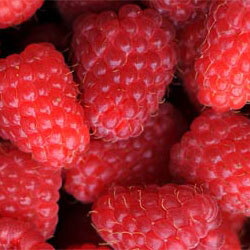 Not to mention that fruits in the garden, with great scent and fragrance, tempt those smart animals to try them. So, are blueberries and other fruits safe for dogs? Dog's digestive system can digest many foods that pose threat humans and vice versa. However, many foods good for humans are good for dogs, too. 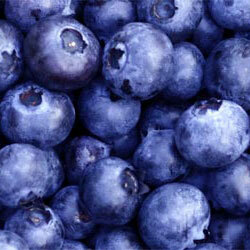 Blueberries are rich in various vitamins, minerals, antioxidants, fibers etc with many health benefits. Since dogs don't have stomach issues eating blueberries, they can be used as a healthy dog treat, both fresh and frozen. Keyword is 'moderation', especially if your dog never had them before. Start by giving the dog only 2-3 blueberries and observe his behavior. If there are no issues of any kind, feel free to give the dog 2-3 blueberries several times per day. However, if you have blueberry bushes in the garden and dog(s) have access to them, they will probably eat the berries as soon as they ripe. We like blueberries and so do the dogs - and they can use their fine sense of smell to figure out when the berries are ripe enough to be consumed. Keep in mind that dogs are omnivorous animals and very open to trying different kinds of foods, especially dogs that live indoors, with people. 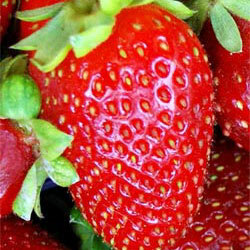 Other berries that dogs can safely eat are strawberries, blackberries and raspberries. In fact, combination of the sweet and sour, sometimes tart aroma and taste will make the dogs become very innovative in getting such treats, whether we like it or not - people with dogs and small backyard gardens are often force to put a fence to prevent their furry friends in eating entire berry crop! Dogs are smart animals and can be trained easily regarding eating and avoiding various foods, behaving properly at home or during walks, etc. Just be aware that they are 'team players' often wanting to lead the pack, not just to be a member of the pack. Are Bananas Safe for Dogs? Yes, bananas are safe for the dogs. Just peel off the banana and use it as a reward for something that dog did properly :) Bananas are rich in carbs and fibers, so again, moderation is the key. Dogs can eat even banana peels, especially if they find it in the trash - one more reason for a dog to learn what can and what shouldn't be done. Banana peels are not toxic for the dogs, but they should be avoided - banana peels are not digestible by the dogs and can cause intestinal obstructions and other health problems. If your dog never had a banana, start with giving him only few slices at the time. Bananas are rich in fibers, especially pectin which helps with bowel movement - great for dogs having constipation issues, but can cause digestive problems like diarrhea and similar. Too much of something good is not always - good! If you have banana loving dog, feel free to check Can Dogs Eat Bananas? article (external link, link opens in the new window) at 'This Dogs Life' for more information about bananas and dogs. Are Watermelons Safe for Dogs? Watermelons are safe for dogs, too. With their sweet taste, they are great treat for both humans and dogs. Again, be sure to remove the seeds. Although watermelons are mostly water, they can be consumed easily in larger quantities and carbs easily add up - again, moderation is the key. - Apples - just be sure to remove the seeds and core. Some people peel the skin off, too. However, have you ever seen how high German Shepperd dog can jump, just to grab an apple? I have. And that dog ate few of them, every day, during season, with no adverse effects. However, I would really avoid giving apple seeds to the dogs - apple seeds in larger amounts can kill even an adult human! - Oranges and citrus fruits are also good for the dogs, just peel them and remove the seeds. Oranges, clementines, tangerines and similar fruits can be very sweet and dogs can easily find them very tasty. Due to carbohydrate content in such citrus fruits (mostly sugars), it is vital to limit amount of such fruits. So, 2-3 small tangerines or one medium orange is more than enough for larger dogs (for example, Golden Retriever). If you let your dog eat as much as he/she can/want, it can easily elevate blood sugar levels and cause various digestive issues. - Pears are also good for dogs, just as any similar fruit - be sure to remove the seeds and core before giving them to the dog. Peeling them off is not absolute a must, however, if your dog has any issues, remove the fruit's skin. 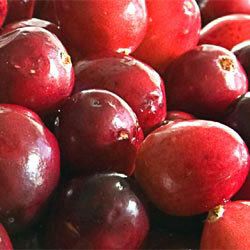 There are many other fruits that are safe for dogs. If you are not sure about planned treat, ask your veterinarian to be sure that such foods are not going to be harmful to your dog. - Grapes and raisins can kill dogs within days of digestion, although first signs are obvious after few hours - vomiting and excessive urination. 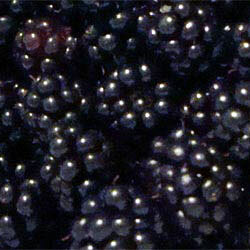 Grapes and raisins are also sweet and fragrant and can lure the dog to try them. - fruits with pits like peaches, cherries, plums and similar are threat to dogs, too, due to cyanide in pits and because they are choking and blocking hazard. One can remove the pits, but that would make the dog believe that such fruits are OK to eat and sooner or later, dog can find it on a tree or somewhere else and eat it - whole. Dogs should also avoid tomatoes, juniper berries, avocado, various nuts, especially macadamia nuts, mushrooms, garlic and other onions, dark chocolate etc. If your dog likes to eat human food, check 'Can My Dog Eat…?' article (external link, link opens in the new window) at 'Diamond Pup' about rather long list of human foods that dogs like to eat both occasionally or regularly. However, if your dog ate something, or you just caught your dog eating something (grapes, dark chocolate etc. ), it is good to be prepared. First of all - call the vet and explain that you caught your dog eating something harmful (or you believe that your dog ate something harmful), describe your dog (age, size, weight, eating habits etc. ), tell the vet that you have dog syringe and 3% home hydrogen peroxide and ask if you should induce vomiting in your dog. After vet confirms that, fill the syringe with specified amount of hydrogen peroxide and follow the instructions. Again, if you are not sure, ask the vet first!